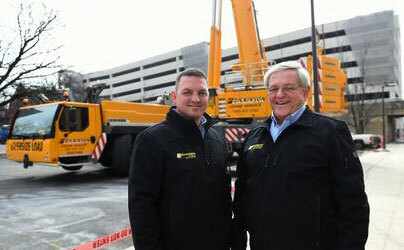 Our Crane Service Company was opened in 1948 by Irvin B. Dickinson and is now in its 3rd generation of family ownership. Our crane service company began servicing the Berks County area and surrounding counties. Throughout the years as our customer base continued to grow, we branched out to Allentown and Harrisburg to accommodate them. By treating our customers like family we make their crane choice an easy one. Our lift plan services and warehousing availability makes job planning easier and shows how we can help you to do your job well! "We are committed to providing our customers with exceptional service in a safe and productive manner, while establishing new and maintaining current long-term relationships."